As we prepare ourselves during Advent for the Christ Child’s birth, we invite you to light Advent candles, read, reflect, and discuss Nouwen’s 94-page book, The Way of the Heart, with us on Advent Wednesdays, Dec. 6th, 13th and 20th, at 6–7 pm in the Von Holt Room. A guided discussion on the book’s three sections: Solitude, Silence, & Prayer may bring you insight and better understanding of centuries old practices of solitude, silence and prayer. 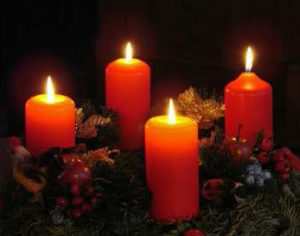 Please RSVP to melviak@hotmail.com if you can join us for Advent Wednesdays. “The Way of the Heart – The Spirituality of the Desert Fathers and Mothers; 1981 Priest Henri Nouwen (1932-1996) explores what it means to flee from the world, thus, the question of solitude. He defines silence as an essential element of a spiritual ministry and challenges us with the vocation to pray, always. Nouwen (now-wen) was born and educated in the Netherlands and authored many theological books. (see amazon.com:henrinouwenbooks). You may purchase a book at the Cathedral office for $5, or order your own copy.